Cuba is known for its nightlife, glorious beaches and the preservation of its maritime and colonial history - here’s your guide to exploring the country in-depth. Cuba has an average temperature of about 24°C but in the winter it can drop as low as 15°C, and even lower during the night. If you’re thinking of visiting between November and April (the dry season) and heading out to the mountains, be sure to take more than a T-shirt to keep you warm. May and October are known as the wet season so expect some rain, and unless you’re a fan of hurricanes, avoid June to November! The tourist season runs usually from the middle of December until the middle of March. 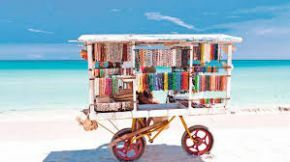 Out of season can be quite dull but you will experience lower prices and quieter areas, although Havana and Santiago remain lively all year round. Holidays such as Christmas and New Year are celebrated with typical Latin enthusiasm through events such as Havana Jazz Festival (December) and Las Parrandas de Remedios – the oldest celebrations in the country, which comprise street parades and a dramatic fireworks competition. Cuba also has a number of festivals during those summer months; information on those can be found here. The capital of the country and by far one of its most beautiful parts, with its narrow streets and old buildings. Take a walking tour through the city to ensure you don’t miss anything. 20 kilometres of white sand and crystal clear water complement the spectacular night life. Tourists love the Beatles Bar at $2 a pint, so expect to bump into many other Brits! Alongside Havana this is one of the most historic cities in Cuba. Only accessible via horseback or foot, the old town was designated as a World Heritage Site by UNESCO IN 1988. Its narrow cobbled streets and low leaning brightly coloured houses represent a perfect location in Cuba to take some photos. • Museo Romantico - there is an entrance fee to this colonial palace filled with 19th Century antiques but the view of the city will blow you away. A very tiny town of around 27,000 that has a huge influence in the country. The very best tobacco is grown for big name cigar brands such as Cuaba and Montecristo – it’s a true snapshot of Cuban life.